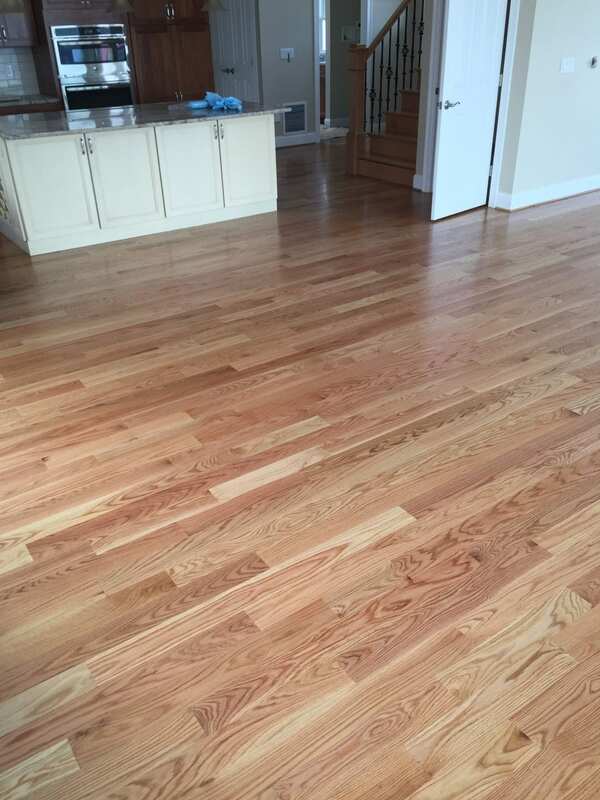 Red Oak Select Grade Flooring Finished With Oil Based Polyurethane. 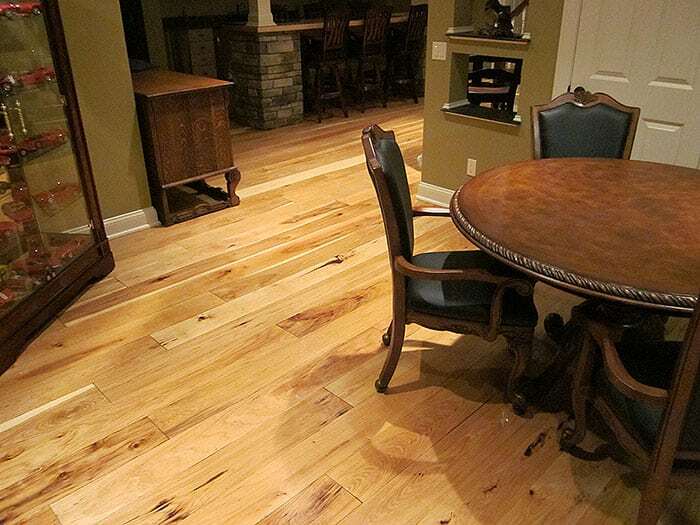 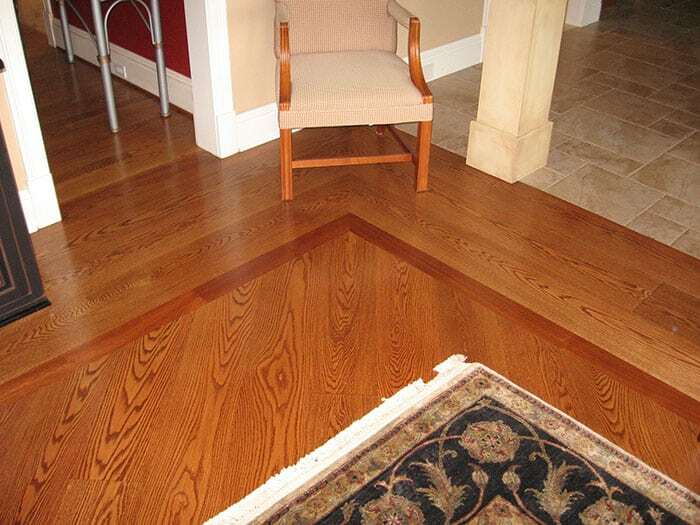 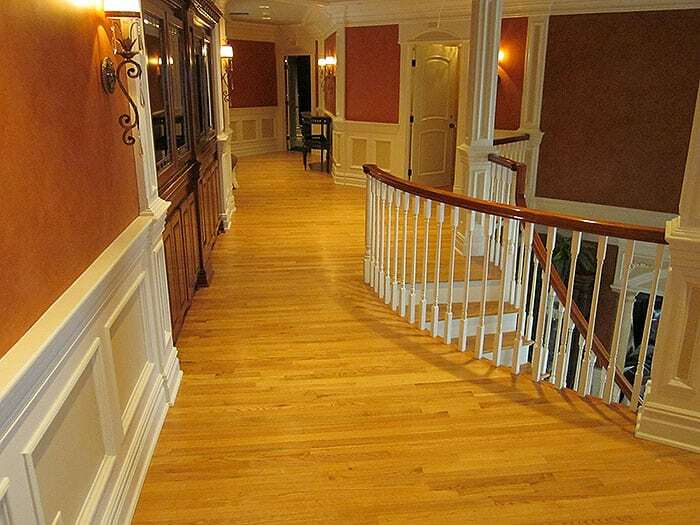 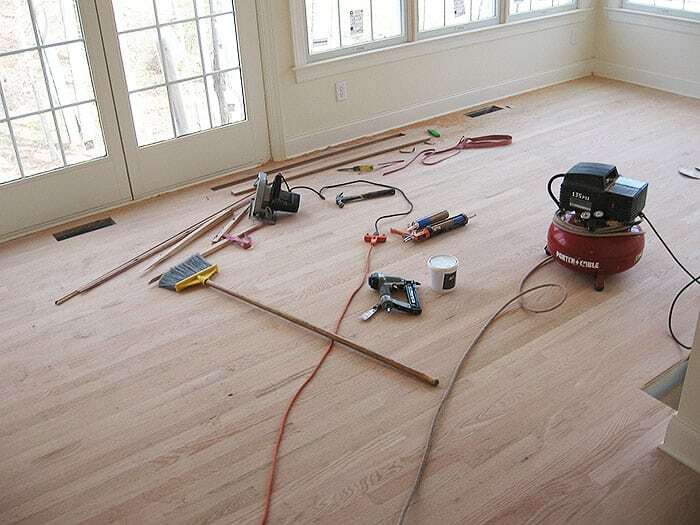 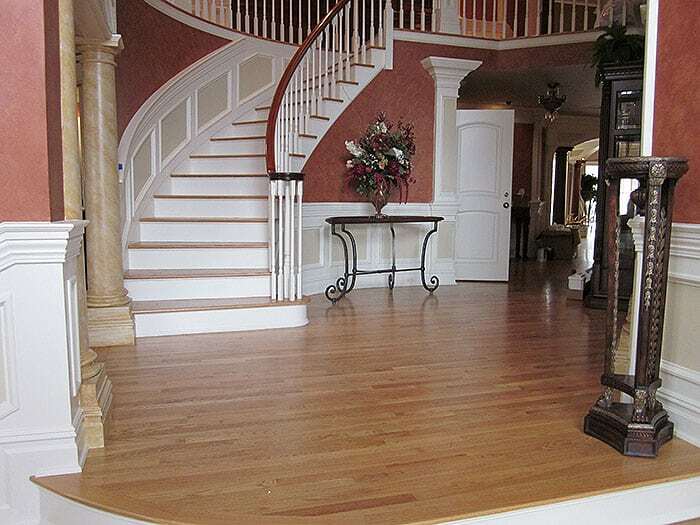 Red And White Oak Flooring Are The Most Common Floors In The Northeast Because Of Their Durability And Ability To React To The Changing Seasons. 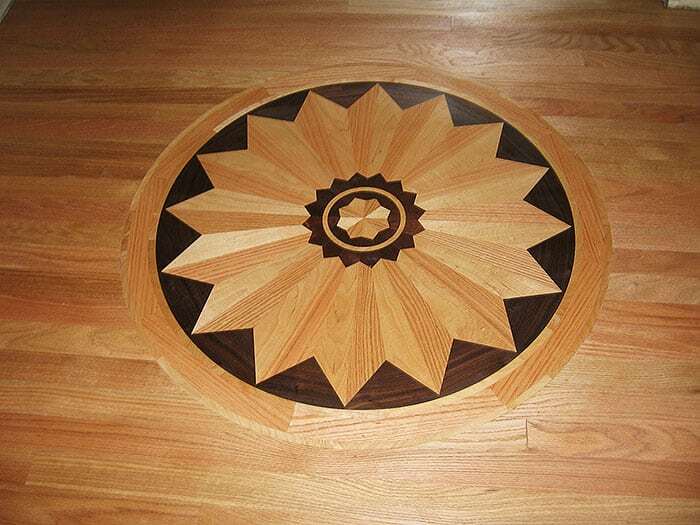 Medallion Installed On-site Into Existing Red Oak Flooring. 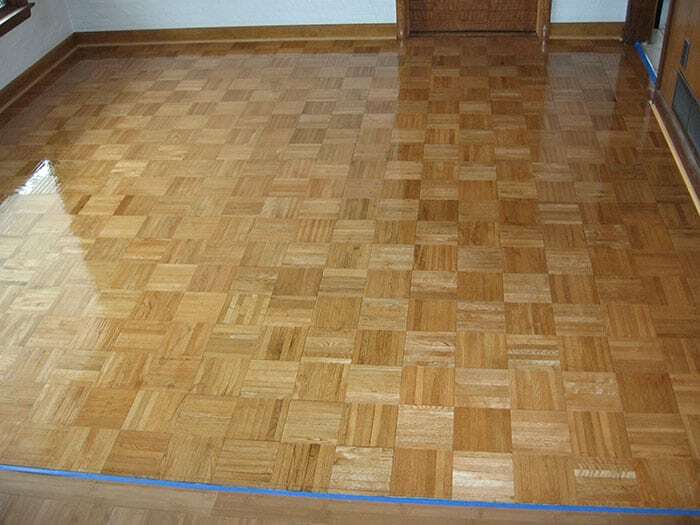 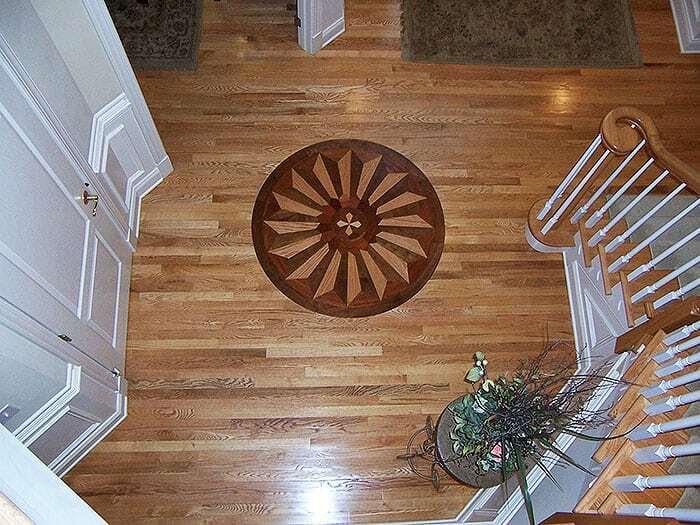 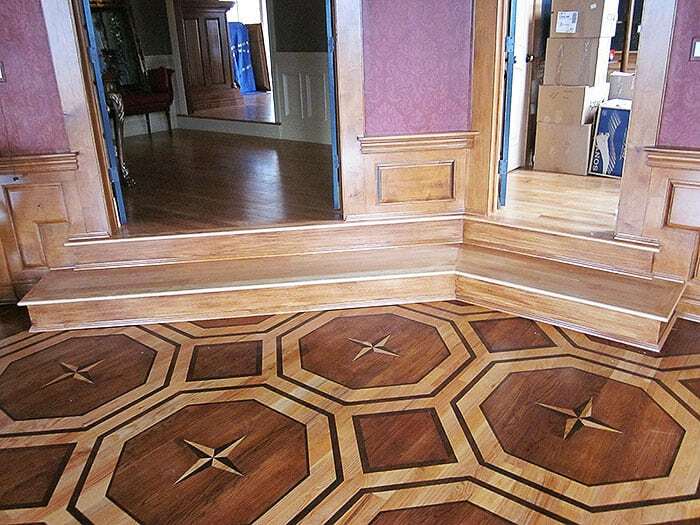 Surrounding Floor Stained And Finished While Keeping Natural Color Of Medallion. 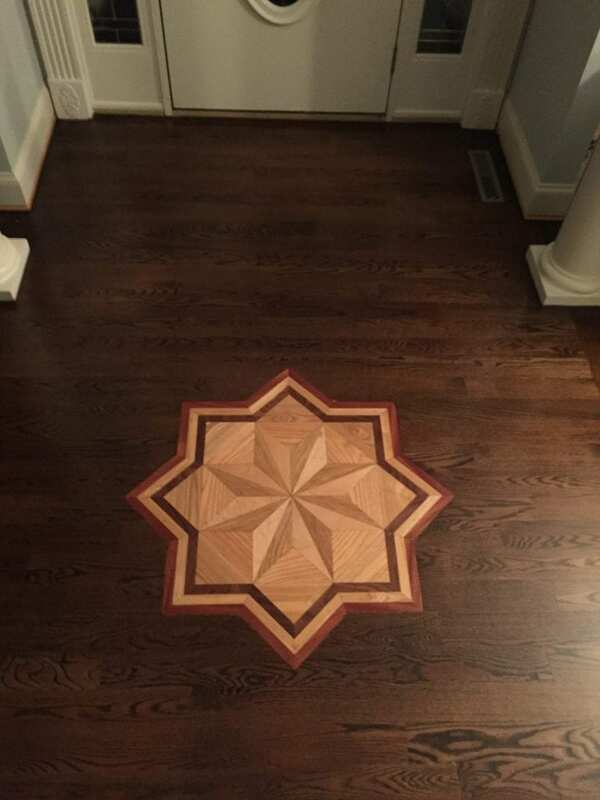 8”, 9”, 10” American Walnut Flooring Before Sanding And Finishing. 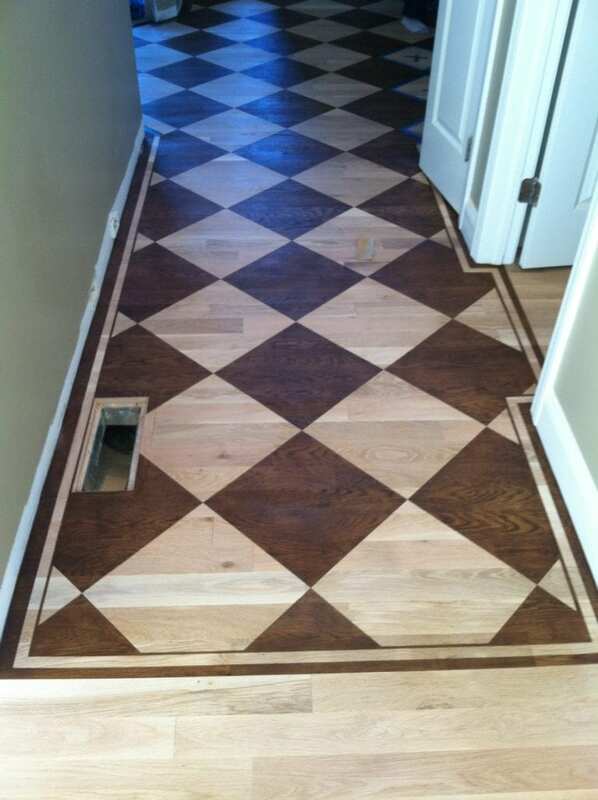 Installed Using Nails And Glue Over Radiant Heating System. 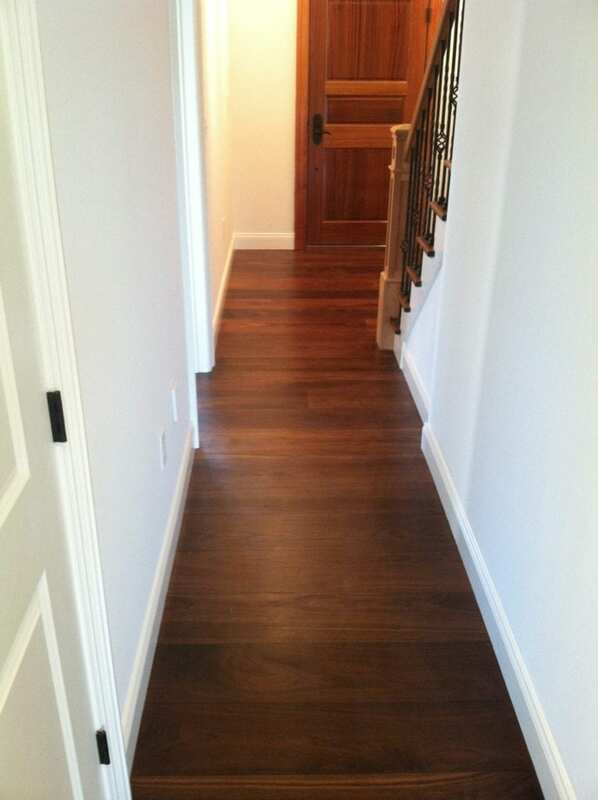 American Walnut Flooring Finished Using Teak Oil. 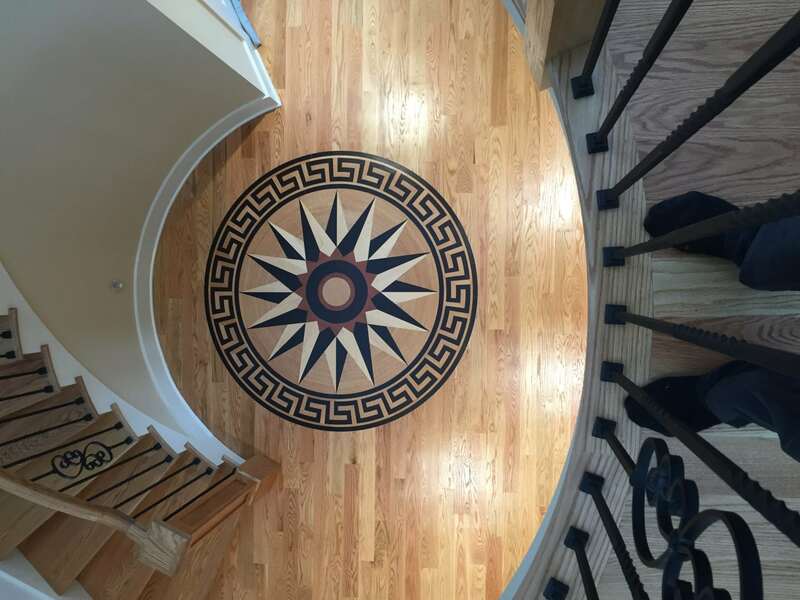 72” Nautical Medallion Assembled And Installed On-site Then Finished With Oil Based Polyurethane. 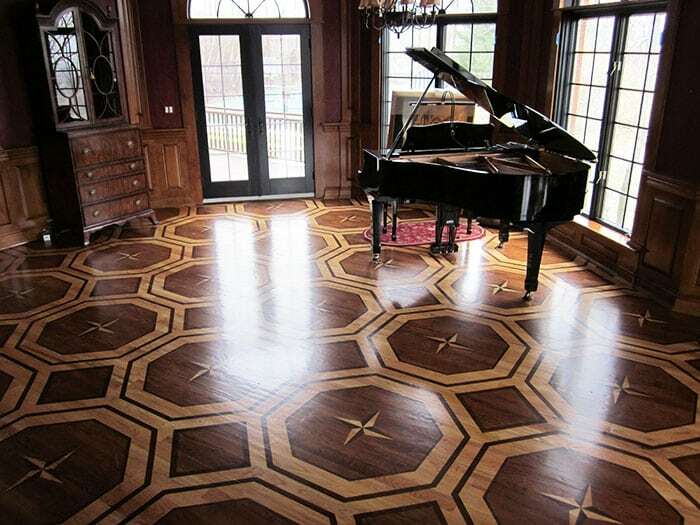 Floor Stained By Mccory Interiors. 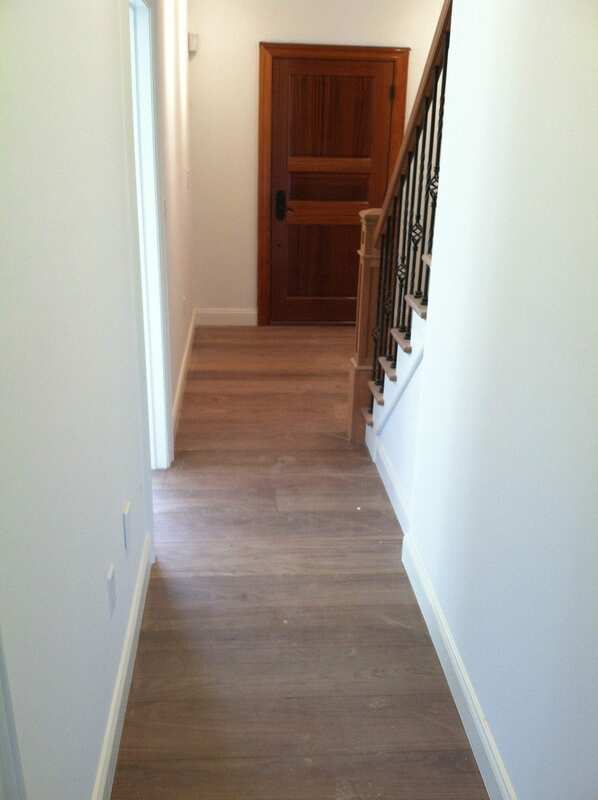 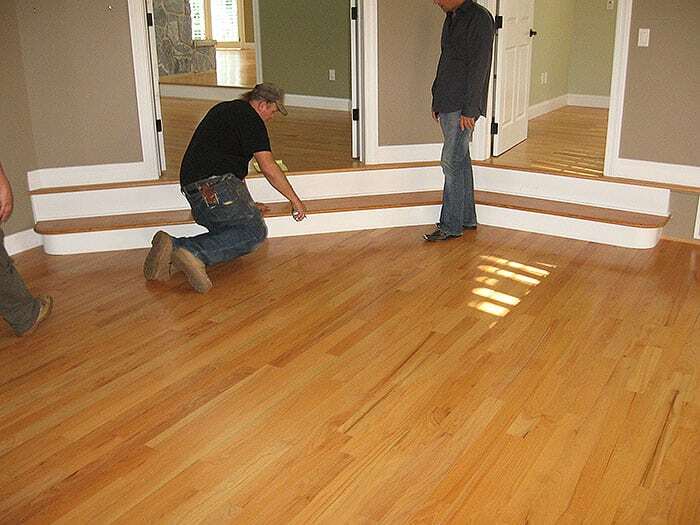 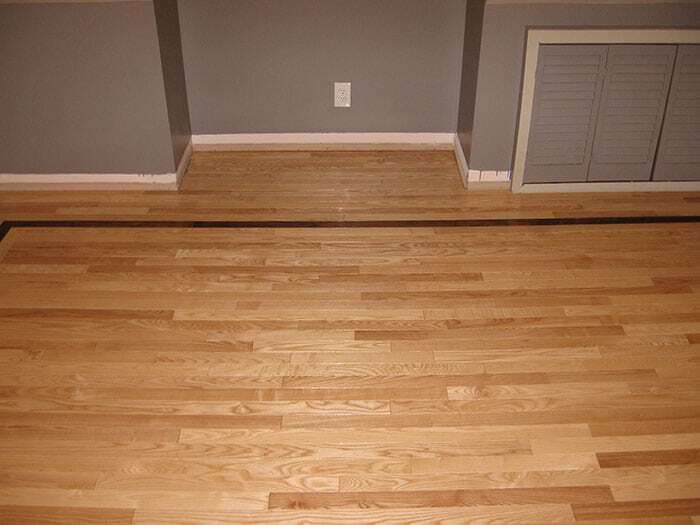 Sanded And Finished By Custom Hardwood Flooring Plus, llc.